100 Women in Finance (100WF), a global, practitioner-driven nonprofit organization that serves more than 15,000 professionals in the finance and alternative investment industries, announced at its annual New York Gala that it successfully raised a record setting $2.6 million in gross proceeds in support of NAMI, the National Alliance on Mental Illness, the nation’s largest grassroots mental health organization dedicated to building better lives for the millions of Americans affected by mental illness. The 16th Annual 100WF New York Gala was held yesterday evening at Cipriani 42nd Street in New York City, with the support of more than 450 leaders from the financial services and alternative investment industry. Paula Volent, chief investment officer and senior vice president at Bowdoin College, received 100WF’s 2017 North American Industry Leadership Award. The Award is presented annually in recognition of exemplary professional talent, business ethics, and passion for investing that further define and advance the industry’s standards of excellence. “I am truly honored and humbled to receive the 2017 North American Industry Leadership Award from 100 Women in Finance. I have been extremely fortunate in my career to have established a deep network of mentors and peers, many of whom have come from the 100 Women in Finance network. 100WF’s combination of education, peer engagement and philanthropy has created an important platform for the advancement of women in the investment industry,” said Volent. To view past 100WF Industry Leadership Award Honorees, click here. Ray, Barbara, and Paul Dalio were also honored at the gala with the 100 Women in Finance Effecting Change Award for their commitment to supporting individuals and families affected by mental illness. Ray Dalio is the founder and chief investment officer of Bridgewater Associates, the world’s largest hedge fund, and founder of the Dalio Foundation. The Award is given to an individual(s) who has made a difference in the area of our philanthropic theme for the year either through their own philanthropic efforts, or through their personal commitment to make their influence count. 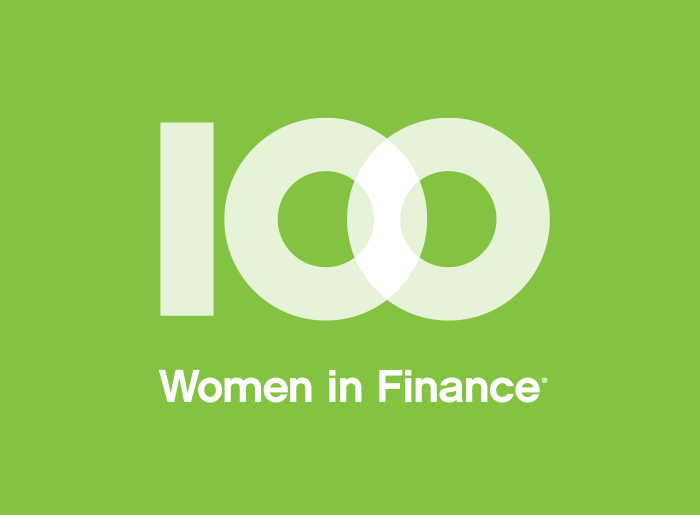 “100 Women in Finance is thrilled to recognize Paula Volent, as an example of financial excellence and leadership among women, and men, serving as endowment chief investment officers. Similarly, we salute Ray, Barbara and Paul Dalio, who are deservedly lauded for their preeminent roles as philanthropists focused on multiple areas. These include education, health and wellness, which align with the commitments of our organization,” said Sonia Gardner, 100WF’s Global Board chair and president, managing partner and co-founder of Avenue Capital Group. “100 Women in Finance also is extremely pleased to support the work of NAMI, the National Alliance on Mental Illness, and its tireless efforts to address the millions of Americans who, together with members of their families. educators and health care professionals, grapple with mental illness every day. We are proud that the funds raised by our members and industry colleagues across the U.S. in 2017 will enable NAMI to expand its programs and continue its important advocacy work on a national and local basis, through the NAMI Helpline, campaigns for public awareness and outreach to the media to accurately portray the importance of mental health, among other programs,” added Gardner. Since its formation in 2001, 100WF has raised more than $42 million globally for philanthropic causes in the areas of women’s and family health, education and mentoring. 100WF’s philanthropic mission is to utilize its collective abilities and expertise in order to give back to the local community in an impactful way. The 100WF Board of Directors chooses beneficiaries on a rotating basis. The global philanthropic theme for 2017 is women’s and family health. To make a donation, please contact Amanda Pullinger, CEO of 100WF, or donate here. NAMI, the National Alliance on Mental Illness, is the nation’s largest grassroots mental health organization dedicated to building better lives for the millions of Americans affected by mental illness. NAMI provides advocacy, education, support and public awareness so all people can experience resiliency, recovery and wellness.